Railways were of unprecedented importance throughout WW1. The nature of the conflict was largely shaped by the ability of railways to support rapid, mass mobilisation of armies on the continent, and then to maintain the huge volumes of supplies of all types needed to maintain them in the field. As the war dragged on into 1916, the railways in France and Belgium struggled to keep up with the demands of the British forces. One strategy for dealing with this problem was an appeal to the Australian Government to recruit experienced railway men. 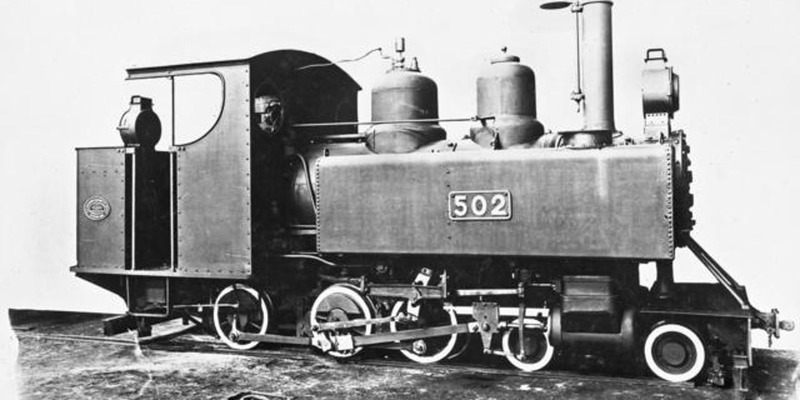 Ultimately six Australian railway operating companies were raised, with the 4th Australian Broad Gauge Railway Operating Company being largely recruited in Queensland. In March 1918 this Company were almost over-run by the huge German spring offensive, but showed great initiative in withdrawing their locomotives and other equipment under sometimes intense artillery and machine-gun fire. They were subsequently based in Dunkerque, where bombing and long range shelling frequently disrupted operations. This presentation will talk about their experiences and will also look at what can be seen today along the lines that they operated. If anyone has any private diaries, letters or photographs relating to these men, the author would be very interested to hear of them. Mark Whitmore was formerly a Senior Curator at the Queensland Museum, where he wrote a book on Mephisto in 1989. He subsequently worked at the Australian War Memorial and retired as Director of Collections and Research at the Imperial War Museum in the UK in 2015, but continues with historical research and museum consultancy work. He is currently writing a book on the Australian Railway Operating Companies in WW1. Free to participate at the talk, lunch afterwards $5 donation.